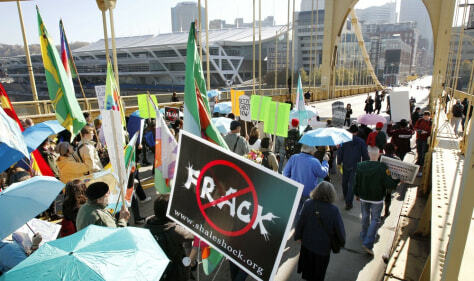 "Fracking" for natural gas has its supporters as well as critics, among them these protesters last Wednesday marching in Pittsburgh, Penn. Gov. Ed Rendell earlier signed an order banning the additional leasing of state forest land for drilling using that technique.